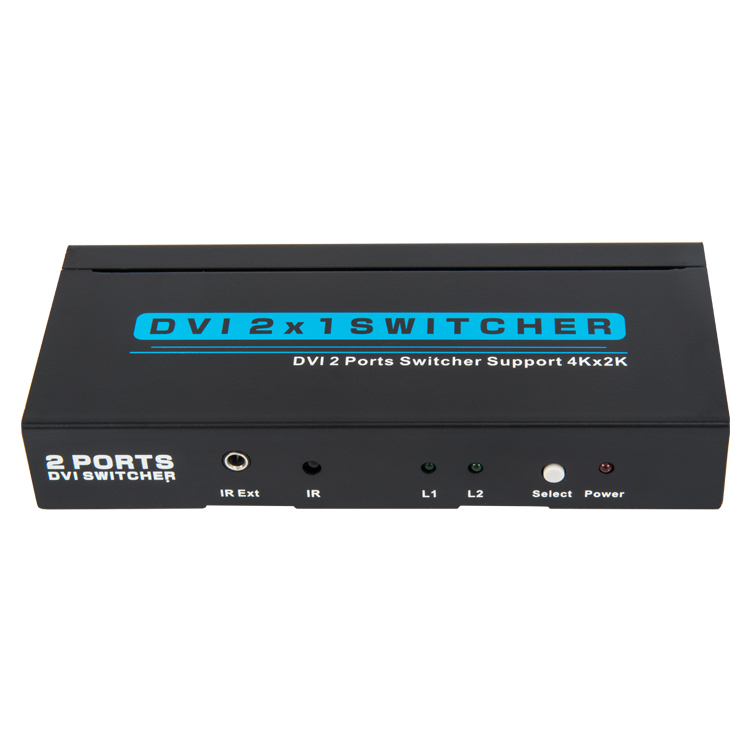 DVI 2x1 Switcher 4K - Buy DVI SWITCHER 4K, DVI 2X1 SWITCHER Product on Shenzhen Zenhon Technology Co.,Ltd. 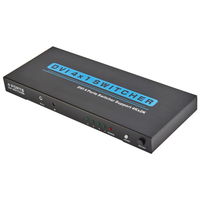 DVI Switch is a product that can switch multi-group DVI signals to one high definition display device such as HDTV by using manual push button. Doing so can avoid plugging and unplugging cables frequently. It can optimize your home theatre system to the best effect. 1. 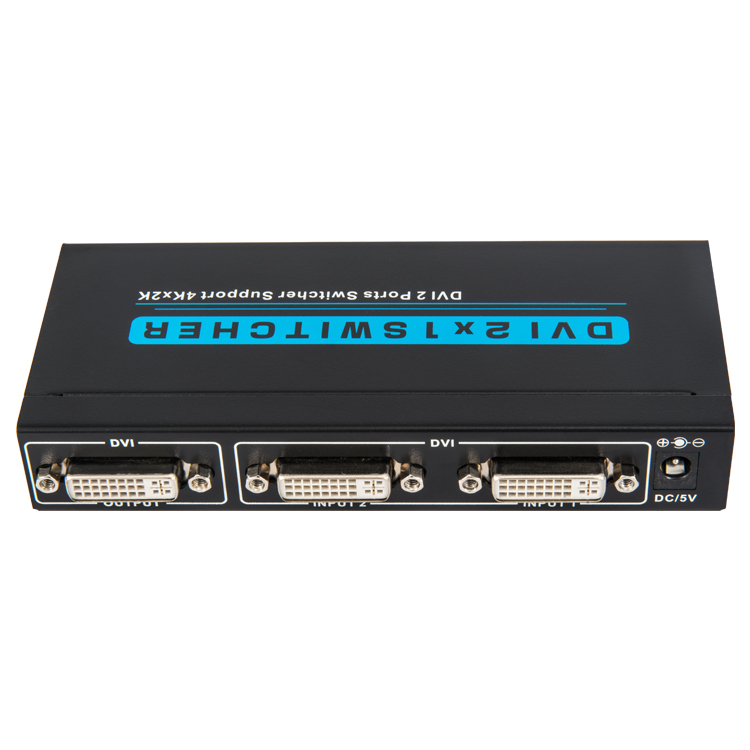 2X DVI-D inputs and 1 DVI-D output. 2.Support dual Link DVI-D signal transmission, resolution up to 3840X2160@30Hz. 3.Support resolution 640X480@60Hz to 3840X2160@30Hz, compatible with the 1920x1200 standard. 4.Support for long distance signal transmission. 5.Installs in minutes, No loss of quality. 6.Metal casing design and overall shielding without signal interference. 7.LED indicates signal and power mode. 8.Supports wide range voltage DC input (DC5V~12V). 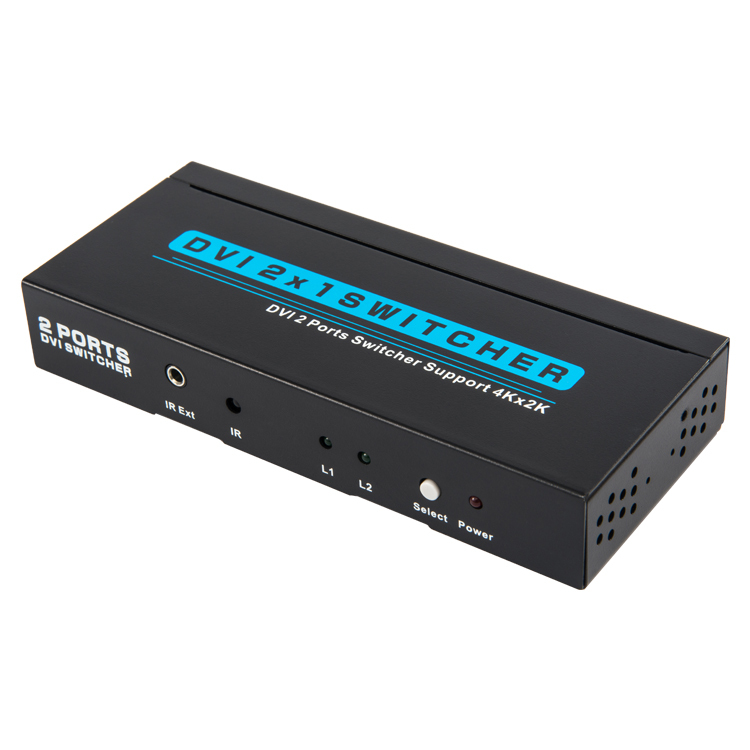 It switches several routes DVI signals from source device such as computer, Satellite Receiver, Set-top Box, DV Camera, A/V Receiver and other DVI enabled device to high definition display device such as HDTV and DVI Flat Panel Display. 3.1 Connect high definition display device such as HDTV TO DVI Switch's output port. 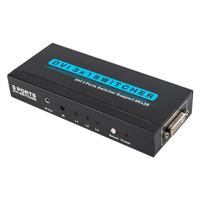 3.2 Connect source device TO DVI Switch's input ports.